Let's tell your story with creativity & heart! Capturing the heart of your story through images and text to increase clarity, communication & connection! How can I help you tell your story through visuals? The possibilities are infinite! 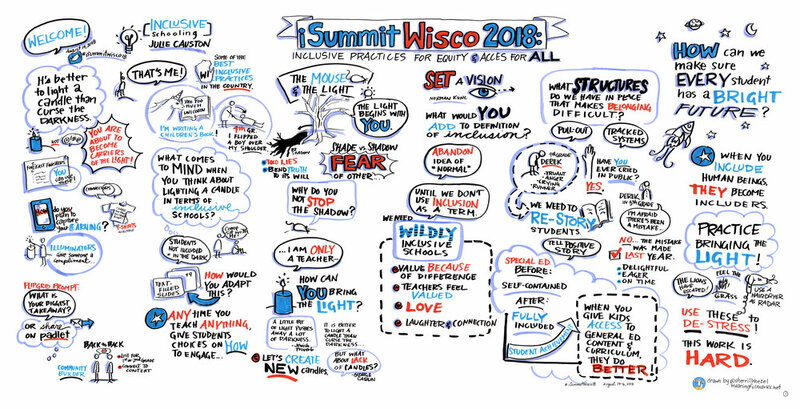 Graphic Recorder, Sherrill Knezel, illustrates Paula Kluth's talk at NYU’s NestCon 2018.